A versatile and easy to use materials tester, the single-column OmniTest is available in 5 kN capacity. 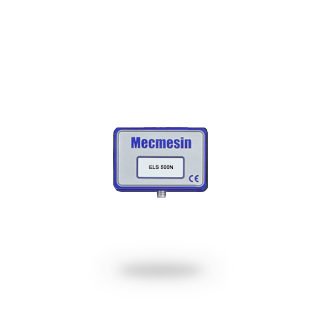 Controlled by VectorPro MT, Mecmesin's newly developed materials testing software designed for use in QC and R&D laboratories. Higher capacities of 10 kN, 25 kN and 50 kN are available in the OmniTest twin-column range. A single-column motorised test frame designed to apply tension and compression from 2 N right up to a capacity of 5 kN (1100 lbf). Its versatile construction makes it perfectly suited for testing all kinds of materials in a quality control or R&D environment. The single-column OmniTest features a ballscrew-driven motorised test frame, which is designed to apply tensile and compressive forces from 2N right up to 5 kN. A dovetailed crosshead design ensures operators can quickly and easily attach new loadcells, that are automatically recognised by the software. The base plate of the OmniTest is pre-drilled with threaded holes to directly accept a wide range of grips and fixtures. The OmniTest requires a Windows PC to run the VectorPro MT software and control the tensile tester. Its compact design and small footprint make it the perfect selection as a bench-top device. Alternatively, a Windows-based touchscreen console can be mounted directly on the OmniTest - save time by not moving to and fro a computer. 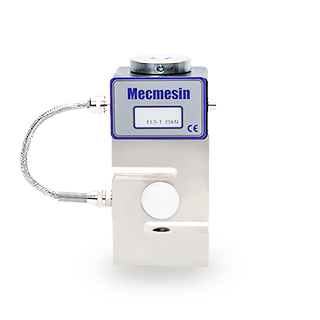 The OmniTest and MultiTest-dV materials testing systems use Mecmesin's range of high-resolution precision Enhanced Load Sensors (ELS) to record tensile and compressive loads. A precision loadcell connects directly to an OmniTest or MultiTest-dV stand and communicates with VectorPro MT software, enabling sophisticated test routines for materials testing applications. The ELS range of interchangeable tension and compression loadcells is specially adapted to the OmniTest and MultiTest-dV range of Materials Testers. To ensure that you have the optimum selection to meet your tension and compression testing needs, eighteen different models are available to cover the range from 2 N right up to 50 kN. The ELS comprises a sturdy dovetailed-mounting box with an internal loadcell c/w small fixing thread and occupies minimal space. The ELS-S comprises the same dovetailed-mounting box with an external S-beam loadcell situated below - it provides a more rigid secure connection for large, heavy grips and fixtures. The ELS-T comprises a mounting box with an external S-beam loadcell situated below it - it is designed for use with twin-column test frames for testing of higher loads and provides a rigid secure connection for large, heavy grips and fixtures. 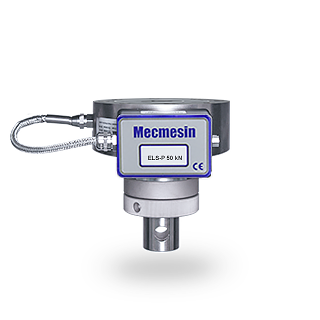 The ELS-P comprises a mounting box with an external Pancake loadcell situated below it - it is designed for use with the OmniTest 50kN twin-column test frame for testing of higher loads and provides greater immunity to extraneous "off-axis" loads. VectorPro MT is an advanced materials testing software package developed to perform tensile, shear, bend and compression tests on a whole array of materials. Present measurement data graphically and issue customised test reports. Simply choose an ELS loadcell and a set of grips, and you are ready to enjoy enhanced testing with the power of VectorPro MT. To suit your materials testing requirements the OmniTest range is available as a single-column materials tester (5 kN) and as 3 models of a dual-column tester (10 kN, 25 kN and 50 kN). Designed for versatility and ease-of-use the OmniTest will appeal to users, whatever their skill or experience. They all fit comfortably on your bench-top, making them ideal for use in QC and R&D laboratories. All OmniTest models are controlled by VectorPro MT software running on a PC. 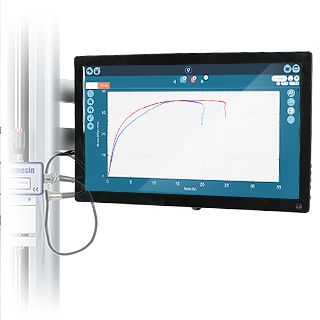 OmniTest delivers consistency and reliability by controlling the key test parameters of stress/strain, force/displacement and speed/load rate. Whether you need to know the Young's Modulus, Offset Yield, Ultimate Tensile Strength or a whole host of other materials characteristics, the OmniTest has you covered. The single-column OmniTest materials testers feature a precision ballscrew with linear slide mechanism that drives a solid crosshead with an ELS loadcell. Excellent rigidity and strength with intuitive controls making the tester easy to use even for novice operators. The construction of these single-column materials testers provides the crosshead travel required for conducting elongation tests up to 650mm, while also delivering the strength capability for mid-load break tests on rigid materials. All models are ideal for general purpose testing of specimens to determine their tension, compression, flexure, shear and fracture characteristics. Protective bellows prevent dust and splintered materials from becoming trapped inside the machine. Upper and lower safety limit switches minimise the risk of accidental damage caused by grips colliding. For operator safety a range of protective shields and enclosures is available, for situations where specimens may shatter or create projectiles upon failure. Designed to apply tensile and compressive forces from 2 N right up to a capacity of 5 kN their high-quality construction, manufactured under ISO 9001 quality standards, ensures the ultimate in repeatable materials testing. When seeking to precisely measure forces across a wide range it is often necessary to use multiple loadcells. The dovetailed crosshead design of the OmniTest minimises operator setup and configuration, by quickly and easily sliding on a new loadcell that is automatically recognised by the software. The base plate of the OmniTest is pre-drilled with threaded holes to connect a wide range of grips and fixtures. The OmniTest also uses quick-change (QC) adaptors that speed up the interchange of grips, for example when you need to perform a variety of different tests on different geometries of material. Control the testing system using your own PC with VectorPro MT software and take advantage of its versatility to make it your ideal choice for materials testing. The ELSrange of high-resolution, precision loadcells is specially adapted to the OmniTest. 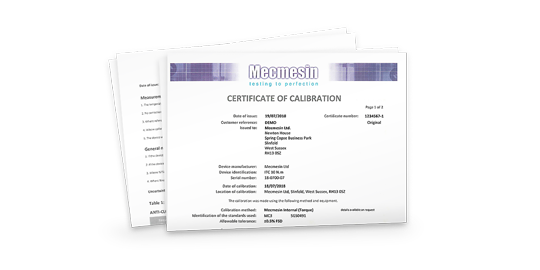 They are fully interchangeable and plug into the frame, where their calibration characteristics are immediately recognised by the tester without any input from the operator. Fourteen different sensors, all measuring from zero, are available to cover the range from 2 N up to 5 kN. This ensures that you have the optimum selection to meet all your tension and compression testing needs. Measurement accuracy is an outstanding ±0.5% of displayed reading. Each ELS sensor is delivered as standard with its own calibration certificate traceable to national standards. VectorPro MT materials testing software is at the heart of the OmniTest materials testers. VectorPro MT delivers outstanding control of the motor, whilst simultaneously collecting data at 500 Hz from the ELS loadcell and displacement encoder of the frame. The software is intuitive for both operators and managers. Personalised user accounts and a streamlined designed means that the workflow is simple and creating step-by-step test methods according to the precise requirements of your testing procedures is easy. Access to the most commonly used test methods enables operators to move seamlessly from task to task, and keep training time to a minimum. By plotting stress/strain data in real-time on a graph the operator can immediately identify exactly how the test material is performing. Preset materials testing calculations are used to analyse the data to determine whether the specimen has met the pass/fail criteria. 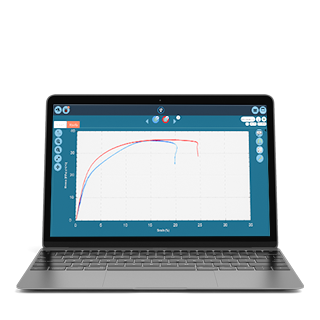 Use the power of VectorPro MT to calculate Young's Modulus, Offset Yield, Ultimate Tensile Strength, Nominal Strain and a whole host of other materials characteristics. At the end of the test the comprehensive reporting module within VectorPro MT enables the operator to issue a test report as a PDF. Reports can be easily tailored to your customer's exact requirements and automatically emailed to them. Test data can also be exported to Excel or to the network for further analysis. VectorPro MT generates a clear audit trail with electronic-signature functionality - a must for medical and pharmaceutical clients seeking compliance to FDA 21 CFR Part 11. When testing the extension or compressive deformation of a specimen it is often acceptable to measure the movement of the loadcell and grips, as defined by the crosshead distance travelled (known as 'Grip Separation'). This is taken directly from encoders situated on the ballscrews of the OmniTest. VectorPro MT software compensates for movement encountered within the loadcell and grip string (known also as 'Correction for Machine Compliance') but it cannot be as accurate as measuring extension directly upon the specimen. For materials requiring extension measurement to be taken directly on the specimen, a range of contact extensometers is available for use with the OmniTest. The range of contact extensometers include short-travel extensometers suitable for rigid materials (eg hard plastics and metals) through to long-travel extensometers designed for highly elastic materials (eg rubbers or soft plastics), simply select the model which best suits your material characteristics. Holding your material specimen in place without it slipping is essential to obtaining repeatable results. Mecmesin has designed a range of tension and compression grips to hold a variety of components, including wedge grips, vice grips, peel jigs, bend jigs, compression plates and many more. The varying nature of specimen sizes and shapes often makes it necessary to design and produce a special grip. 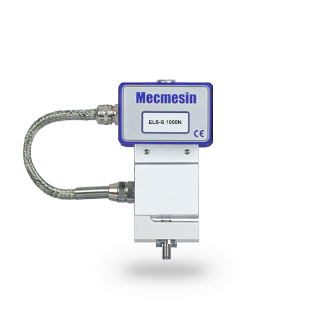 Mecmesin's team of design engineers will work with you to develop the best grip for your specimen, utilising our 3D printers to produce lightweight and precision fixtures to meet your needs. Discover more about the OmniTest range of materials testers. eg: ELS 100 when measuring 10N it is accurate to ±0.05 N or when measuring 50N it is accurate to ±0.25 N.